Kirkland Gutter Cleaning Artisan Window and Gutter provides Gutter cleaning and maintenance services to many homes in the Kirkland, Washington area. We have been providing gutter cleaning and maintenance to customers in this area for many years. We are happy to provide references from satisfied customers of our gutter cleaning services. 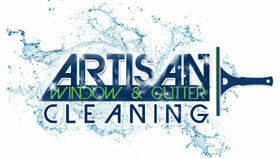 Artisan Window and Gutter Cleaning Serivces is a licensed, bonded and insured company serving Kirkland and surrounding areas. Trust your gutter cleaning to the professionals. Call us today for a free no-obligation quote. We are happy to try to meet or beat written estimates from other companies. Ask about discounts for on-going gutter maintenance in Kirkland and surrounding neighborhoods.